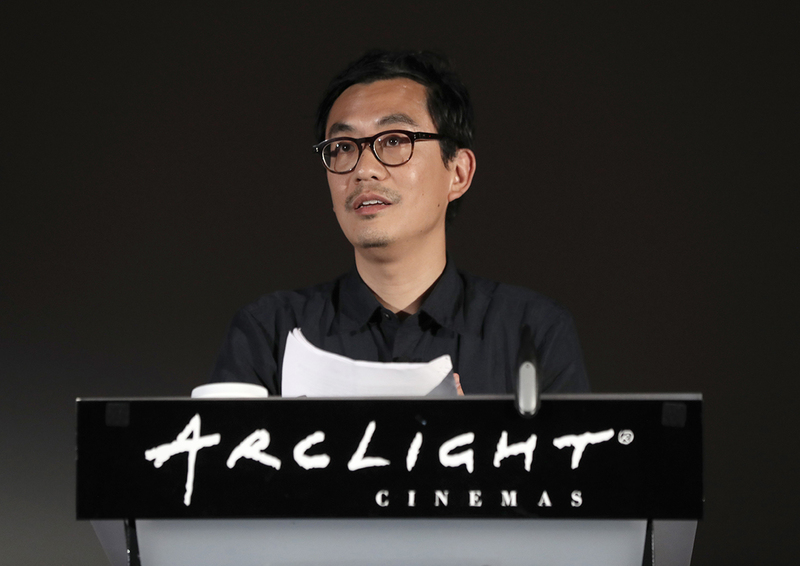 Editor’s Note: Chi-hui Yang is program officer at Ford Foundation’s JustFilms initiative. What follows is an edited version of his keynote address at the 2018 Getting Real conference. What I’d like to talk about today are in many ways some age-old questions that get to the heart of the documentary as a social and political form—and what it means to me to be a funder of social justice documentary filmmaking at Ford Foundation. These are some thoughts about the stakes of documentary today and what I’ve been calling “Documentary Power”—not the “power of documentary,” which is a very different conversation about impact, audience and issues. By Documentary Power I refer to the power relations embedded in the HOW of documentary: 1) the form and aesthetics, 2) authorship and 3) the infrastructures that enable films to be made and find value, i.e., funders, gatekeepers, curators and critics. All of these elements of documentary films—which are often not visible to many, but very visible to others—are an important sub-plot—or, some might argue, the main story of the films themselves. Power shapes content. They are the “excesses” of film—those things that are at the center of defining what a film is, but which lie outside of the dominant modes in which we read documentaries and understand their significance, which is most often around subject and content. They are often seen as neutral and assumed, but they are anything but; there is power and ideology embedded deeply in all of these dynamics, and the more we wrestle with them, the greater the capacity documentary films will have to bend things toward good, and the stronger the films will be. And ultimately what I hope to get across is that if we mess around with Documentary Power, if we hold it accountable, we can destabilize, reimagine and build more equitable social, cultural and political power on a much broader level. Equitable Documentary Power is essential to social change. At Ford, a question that we ask almost daily is, “Who is telling what story, from what perspective, using what form, and through what gatekeepers?” And we believe that if we reorient this equation through intersectional racial, gender and disability justice frameworks and through critical cultural analysis, we can reorient broader social power structures. The parallels between documentary and democracy as systems of representation are important to keep in mind. Who is representing whom and why, and how is that person interpreting and channeling the experiences of those they represent? I don’t want to take this analogy too far, but there are maps drawn all around us that structure flow of documentary knowledge, resource and image; which of these maps need to be redrawn is something we need to think about. This analysis is rooted in Ford’s primary focus on addressing inequality and the proposition that one of the primary drivers of inequality is cultural narrative—those stories that we tell ourselves and each other and shape our values and behaviors. Who belongs, what is valued, who and what matters? These are created by and transmitted through cultural forms like documentary and can bend toward good, or not good. And this shapes Ford’s strategy of creating more equitable systems of documentary knowledge, authorship and discourse as a pathway toward greater social change. And part of this work is exploding notions of what a social justice documentary is or can be. Documentaries, with the social currency they hold, are where cultural and political power are contested today, where what we believe to be true and the worldviews we hold are shaped. There is a bigger social project at work here we are all a part of, that has collective and social implications bigger than any individual film. I’ve always been really into manifestos—documents that declare unapologetically what needs to be done, what the work ahead is and what the possibilities are. I especially like film manifestos—utopian pronouncements on what cinema can do; calls to action. And there have been so many great film manifestos over the years, from Julio Garcia Espinosa’s “For an Imperfect Cinema” to Solanas and Getino’s “Towards a Third Cinema.” I wanted to start with excerpts from two to set the table. I hope I speak for many when I say that the project at hand is not to help people feel better about themselves, or to affirm or necessarily satisfy. Our job is to address social indigestion through work that challenges, is uncomfortable, confuses, expands one’s palette, and ultimately addresses a systemic, social ailment. A healthy gut and a critical analysis take work and some discomfort. The Maladjusteds seek the destabilization of the familiar and the expansion of the known. The Maladjusteds are suspicious of the “world-changing” agendas in filmmaking, as one might be suspicious of nation-building agendas in war. The Maladjusteds do not mistake affect for information. Being moved by an image that claims to document a social ill is not the same as actually gaining mastery of the concepts and policies that create that social ill. Towards a maladjusted documentary, some questions I am super-interested in are: What artistic languages do we need to address the challenges of today? What approaches to documentary can give shape to ideas that society is encountering but is not yet able to articulate? If we have seemingly intractable problems around us, do we have the languages to be able to deal with them? Experiments and innovations in documentary language can allow us to see and think beyond accepted social categorizations: the nation, borders, the body, how power flows; what is permissible, visible or accountable to representation. They can offer new ways to understand how inequality operates, the role of the image and representation in reinforcing it, and how new ways of seeing can lead new ways of acting and engaging. The world’s most challenging issues are complex, intersectional and not tidy, and require imaginative forms to articulate them. As Samuel Beckett said, “The role of the artist is to find a form that accommodates the mess.” What are these forms that can hold the complexity of reality, where there is no beginning, middle or end, where there are no images available, where magnitude exceeds representation, where images can perpetuate violence, where history operates in non-linear ways, when the image economies of certain peoples are so distorted that we need to create new ones? Dominant forms of documentary language can reinforce inequality and are not neutral. The reproduction of conventionally accepted ways of representing history, politics and lived experience can calcify into simplified modes of expression and analysis that don’t capture complexity, reality and possibility. When meaning is made from too narrow a set of creative forms that stress clarity, commercial viability and resolution, we end up with consensus social narratives and normalized unequal power relations. I often go back to historiographer Hayden White’s book The Content of the Form as a way to think about this question. In it, he looks at the value of narrativity in the writing of history. He is interested in the problems of narrativizing, which he distinguishes from narrative, which relays an account and speaks of the world, while narrativizing speaks for the world and speaks of it as a story by taking many disparate pieces of information and creating grander narratives or logic between them. He argues in this book that the right to narrativity is bound up in notions of authority and who assumes this position. He asks what narrative reveals about reality. What does, for example, a demand for closure and ending in a film represent? Or a beginning or middle? According to him, it reflects a demand for moral meaning, i.e., a judgment on how real events fit into dramatic structures. Hence his argument for analyzing the content of the form itself: What story does the form itself tell? In other words, the ways in which we tell stories and make sense of the world is subjective and shaped by the ideologies and worldviews that we’ve developed through who we are. That’s why no one will make the same film; we are all lifted up and bounded by our own subjectivities. Which is a reason we must always be aware of this and conscious of what is implicitly embedded and reproduced in what we make. And this includes where we begin and end, how we frame, the questions we ask and the social narratives we reproduce or deconstruct, like a bootstraps narrative or the notion that the American Dream is universally desired and available to all. This becomes more complicated when we have other larger cultural narratives that tell us who has a universal perspective or voice, and who doesn’t. This creates hierarchies of knowledge, shapes what we trust and becomes a question of documentary truth and power. And this is the unstable terrain of truth and fact that has always been at the center of documentary, in how we represent reality. Documentary filmmaking as a reflexive form is so well equipped to deal with and intervene in the problems of truth and fact; it is an essential part of the form. All of these manifestos and the work inspired by them are asking us to use the documentary form to respond to ways in which truths and untruths are created. We know that this question at the present moment is confusing, when claims to objectivity rightly need to be deconstructed as masks for all sorts of historical problems around patriarchy and racism and ableism and more and, at the same time, when total relativism, where every subjective experience or utterance is a truth, can lift up the marginalized but also affirm scary forces that are not good. There isn’t a simple answer to this; it of course points to fact and the necessity of facts, but also to critical analysis and legacies of media literacy. And perhaps this is what the social project of documentary is: to interrogate how meaning is made and assigned value collectively. And maybe this is what documentary truth is: a critical understanding of how documentaries shape knowledge and social truths. 2) We must make films politically. 16) To carry out 1 is to understand the laws of the objective world in order to explain that world. 17) To carry out 2 is to understand the laws of the objective world in order to actively transform that world. 23) To carry out 1 is to say how things are real. 24) To carry out 2 is to say how things really are. 32) To carry out 2 is to dare to know where one is, and where one has come from, to know one’s place in the process of production in order then to change it. 35) To carry out 2 is to know that filmmaking is a secondary activity, a small screw in the revolution. 36) To carry out 2 is to use images and sounds as teeth and lips to bite with. 37) To carry out 1 is to only open the eyes and the ears. So, we must not just make political films; we must make films politically. To say how things really are, one must not just address an issue, but a system of knowledge production and all of the power dynamics that affect this: Who is telling what story, from what perspective, using what form, through what gatekeepers? This just might be a way to help hack through the muck and bring clarity. When there are so many forces that obscure or confuse what is real or true, clarity on how meaning is made and how to hold it accountable is a fundamental building block. And this is the super-fun, exciting and thrilling part of documentary: How we make it accountable to the real; how documentary is a document of itself. There are a million ways to do this and no right or wrong way; it is process, how form speaks to content within a particular context. What does it mean to you to make a film politically? Is it a formal intervention, with how you structure or sequence? Is it how you situate yourself, or not? Is it creative constraints or rules you create to work within? Harun Farocki, in his later years, stopped creating new images because there were too many in circulation, so he only used already existing images to make his films: surveillance, military training, games, home movies. Is it the mode of collaboration or engagement with participants? Is it in who you hire and work with? Is it how and where you show the film? Is it how you fund it? The film is about Standing Rock. But it is equally a reflexive film about the limits of documentary knowledge and the impossibility of mastery or total comprehension, that one cannot claim to tell or grasp the whole story. And this is part of Hopinka’s practice of destabilizing what a settler colonial system of knowledge is—by acknowledging through form what documentary can and cannot do. The danger of claiming to tell the whole story is not only a false claim to mastery by a subjective author, but it also gives a false sense of mastery to the viewer and can shut down action rather than open it up. It results in belches and a satisfied, rather than activated, viewer. We aren’t here to make people feel better about themselves. In the film, Hopinka interviews two people who were at Standing Rock, as they look back upon their experiences and how they were affected. The film is composed primarily of images from Standing Rock associatively edited together, mainly of the quotidian and not of the drama. The reflections are layered on top of these images. But Hopinka stages two interventions that radically alter how we engage with the material. First, in how he represents the two participants. One is presented via a laptop and not directly in front of a camera. There is a mediated gap between us and them. The other person we can hear, but we never see. There is a gap between sound and image. These decisions create a distance between viewer and the participants; the film does not claim a direct access or complete intimacy to them. Rather, it asks us to bridge those gaps, to actively work to make the connections—and to understand that this may not be possible and may frustrate, that we can’t just have automatic and easy access to and consume someone else’s stories or think we fully get them just by watching a film. Second, in the film’s final scene, Hopinka pulls out from a view from the back of a truck leaving Standing Rock and reveals that what we are seeing is being projected on a screen in an empty room. What we have been watching is an interpretation and projection of the real. To me, these simple but conceptually deep moves destabilize documentary knowledge and make this film not only about Standing Rock, but an inquiry into a documentary’s ability to tell the entire story and the gaps that we must confront as viewers. We leave a bit unsettled, maybe confused but with an understanding that the ending isn’t with Standing Rock or in the film; it is with us and how we engage with the mediated reality. Documentary Power manifests itself in many ways: through form and authorship and through the infrastructures, institutions and gatekeepers that allow many films to be made, to circulate, to accrue value. Who gets funding? Who determines what the canon is? What kinds of narratives and narrativizations are held up? Who is tasked with telling the universal, comprehensive history, and who is understood to tell a subjective, personal rendition of it? And who takes these dynamics to task? Going back to Hayden White and the morality of narrativization, so much of the implicit structures of who is enabled to create film, offer their subjective take on what things add up to, have the room and space to experiment, are dependent on the infrastructures that support and the gatekeepers who are in charge of them. As someone who came into funding from work in the field, I’ve always been very conscious of and uncomfortable with the power one has, and the limits of one’s knowledge. My aspiration as a funder (and human) is to try to know a little bit more than I don’t know; this is the only way for me to believe I am being ethical in making decisions. Social change is shaped by how media shapes belief systems and action, and this depends on who holds resource and cultural power. And essential to creating an inclusive, accountable and skeptical, yet aspirational, documentary ecology are diverse and critical gatekeepers who are invested in doing this rewiring and affirming, contesting and reimagining of Documentary Power. It is an ongoing social process. You may have read about the report that the New York City Department of Cultural Affairs published two years ago that looked at the composition of the city’s arts sector according to race, ethnicity and gender. The report revealed, not to the surprise of many, that the cultural workforce of the city is not representative of the city’s demographics. While there was roughly gender parity, the staff of the organizations surveyed were 62% non-Hispanic white, in a city where communities of color are a majority at 55%. And a host of other analyses, including inclusivity according to job type, further confirmed the significant power dynamics embedded in who is arbiting culture and who is literally guarding it. And this also largely reflects where the rest of the nation is. Supporting an inclusive ecology of arts and culture is central to what we are doing at Ford, and supporting organizations that have historically been led by individuals of color and those working outside of geographic centers and dominant forms of documentary is central to our approach, as well as working with field organizations that are building more inclusive teams and cultures. I loved Grace Lee’s and Marcia Smith’s keynotes at Getting Real two years ago, which hit these notes pitch-perfect. The longstanding work of the National Minority Consortia and Firelight and the great energy that Asian American Documentary Network, Brown Girls Doc Mafia and YouthFX are bringing is all super-exciting, and I want to thank them for the important conversations they have brought to Getting Real this year. I’m also really enthusiastic about some of the leadership moves in our field that we’ve seen over the past year, which are bringing tons of new energy and warm frictions to longstanding institutions—Orwa Nyrabia, who leads his first IDFA in November; Kim Yutani, the new director of programming at Sundance; Jon Goff’s recent move from the Smithsonian National Museum of African American History and Culture to run the Flaherty Seminar; and more. And there are many other significant conversations taking place that are digging into these dynamics. I just came from the MIT Open Doc Lab’s Collective Wisdom symposium last week, which is researching documentary co-creation practices, rethinking notions of authorship and disciplinarity, and asking, If process is at the center, not the outcome, how can this realign Documentary Power? And Kamal Sinclair deserves a nod for her incredible research project Making a New Reality, which is mapping out these questions in the emerging media ecology. I’m also very invested in what I think about as the activating, social-justice practices of art and documentary: curation, criticism and archiving. These are the ways in which films are contextualized, lifted up and brought into conversation with other films; where canons are created; and how films circulate and how they are preserved. Not all can access the films we make, but many more can be influenced by their ideas through the public discourse that is created through how they are discussed, framed, programmed and presented. If we want folks to see these films, we also want them to engage with them in ways that elevate what they are doing, and hold them accountable. Ford has recently started a new initiative called Critical Minded, in collaboration with the Nathan Cummings Foundation, which is an effort to build racial equity in cultural criticism. I’m enthusiastic about this work, as I think criticism is where narrative shift happens—where the critic makes sense of cultural production and how power operates in it, and offers this to the public. I’m heartened by the energy around inclusivity and film criticism more specifically that has been led by Annenberg Inclusion Initiative and Times Up, who have been collaborating to build an impressive campaign around the absolute racial and gender imbalance in film criticism. If you haven’t read the two reports Annenberg released this year, I recommend them. They are mildly depressing, very concerning, but very illuminating in how women of color, in particular, are almost totally shut out of the sector. But I’m also heartened by the recent efforts by Toronto and Sundance to proactively accredit more critics of color in their press corps, as well as Rotten Tomatoes’ changes to its certification criteria to bring more writers of color into its aggregation machine. I believe that change is made through discourse and influence, not necessarily just narratives and impact. Very rarely is there a 1:1 relationship between film and social change; it’s not often that one film does something. It is more often the accumulation over time of many efforts and the chains of influence across many different actors. A film might introduce an idea or frame or form, which a curator/programmer works with. It goes through a critic’s analysis and then into a classroom, where it influences another artist, who then influences another artist, and some variation of this five more times until that idea or form reshapes broader structures. This is the reality of how culture shifts politics. I think about how Chris Marker defined essay film, which has informed the work of so many filmmakers, from Emiko Omori to Raoul Peck; or the direct centering of Black female subjectivity in the work of Madeline Anderson in the 1960s that laid the groundwork for artists like Cauleen Smith and Shola Lynch. And it was Pennebaker and Maysles who first mentored and supported Anderson, and it was through an ecology of classrooms, film journals and film societies that Marker’s works traveled. So, it is a model of documentary influence that comes from equitable Documentary Power that I’m interested in. How does it inform society and artists on how we think and make meaning, and how does it do this over time? And for the funders in the room, how do we measure this? I would love to see academics and writers propose new systems of qualitative metrics, perhaps informed by cultural studies and art/film history that show how these chains of influence happen to see Documentary Power in action. More film funders supporting criticism and writing; it is an essential part of a granting portfolio and for films to make change. Documentary critics writing about form, not just content. For documentary institutions and organizations, let’s build structures that are as beautiful and inclusive on the inside as they are on the outside. I’d love to see impact producers build critical media literacy frameworks into their work, so that what’s raised alongside the issues are conversations on where the narratives they are confronting come from and how they are formed. Filmmakers: Be bold and messy, experiment and find the new languages that we need for the complicated times we are in. And do this in the ways that make sense to you and where you are and the contexts you are working in. Funders: Let’s ask applicants to articulate what the social power dynamics are within the projects they are proposing, and say what this is doing and what it means. It’s not just about access; it’s about relationality and process. And let’s support work that is conceptual, experimental, that is trying to find these new languages; and let’s support people to take these risks and fail. And let’s support practices, not just projects. These are aspirational and may not be possible in all contexts, and I say that for Ford too, but let’s do some wiring and rewiring. And manifestos! We need manifestos! Clear-eyed calls for what is needed right now and what kind of movements we need in documentary. I want to conjure a moment from this year’s Flaherty Seminar, which was curated by Kevin Jerome Everson and Greg deCuir around the theme of “The Necessary Image.” In one session, the Puerto Rican filmmaker Beatriz Santiago Munoz said that a key part of her practice is to “resignify the world.” If we are inheriting images and narratives that are laden with and point to loaded and moralizing meaning that society has constructed over time, are we not perpetuating inequalities by using them? What is a new image economy we can create for all to use that rewires this? So that a weed is not a weed but a flower and a body and its color operates outside of their social construction, and a place is not other or periphery and not even center, but just what it is?